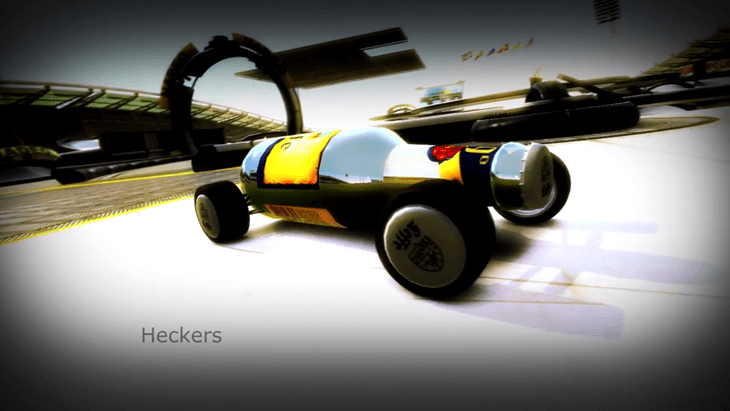 If you’re a fan of racing, you’ve more than likely checked out the TrackMania series at some point in your gaming life. Thought you were king? You may change your mind after watching this excellent video by local speed demon Neil Cross. TrackMania Nations Forever is free to play, so there really is little excuse for not giving it a spin. The game is simple in that you just need to go around the designated track as fast as possible. What sets this series apart though, is that its filled with insanely high speeds and crazy obstacles. Obtaining a good time not only means finding the perfect balance of cornering and speed, but also figuring out how to navigate the track, which can be pretty difficult depending on the obstacles at hand. Just watch the video, and you will see exactly what I mean. The timing and precision needed to get the best out of this track is just mind boggling. I haven’t played the game in years, but it really is a lot of fun, not to mention addictive thanks to the desire to shave those split seconds off your best times. The amazing laps demonstrated in the video are taken straight from the 5th week of performances in the local DoGaming League. Anybody can join the league and post their best times. The server run two maps; one technical which has lots of turns and braking, and one speed which entails full throttle and just about no braking. Each map is run for a whole week, and the best times by each player on both maps is then recorded. This week for example, had Dream Flavour as its technical choosing, a crazy maze of a track. The speed track of choice was Nevermad, a track that saw many players constantly restarting thanks to the deceptive dip/right turn right at the beginning. CMaster (the driver who put together the video above) proved to be too strong, taking both tracks for week 5. Think you can do better? Then sign up right here.